Two weeks ago, EA presented comprehensive The Sims 4 trailer, in which the developers described the process of the character creation. Today it's time for the new piece of video that shows how to build a house in The Sims 4 game just in a few clicks. The Sims 4 game promises to be innovative, and the developers are going to provide us with numerous tools for easy and pleasant play. 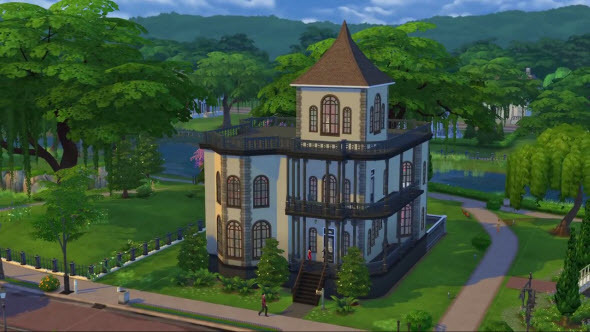 In the previous The Sims 4 trailer, the EA representative showed us how to create two adorable sims - Bella and Mortimer, - and this time he described the building of their house. The Sims 4 game will be available this autumn for the PC owners, and already today, you can pre-order the project from the official site. However, we would like to remind you that the game will be allowed only for adults in the countries of the CIS. Are you going to play the next instalment in the famous simulation game series? Did you like the latest The Sims 4 trailer? Let us know in the comments below.